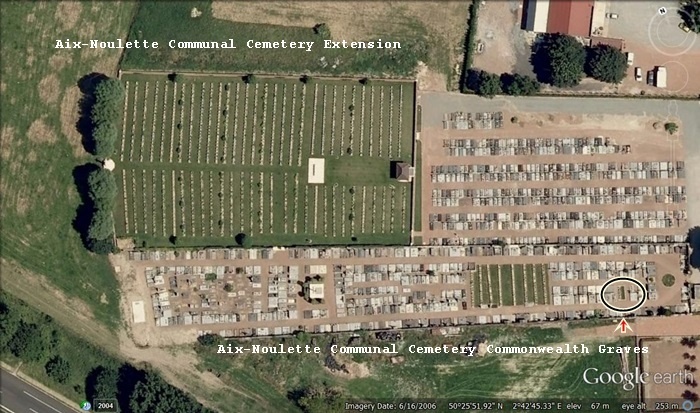 The Cemetery Extension was begun by French troops early in 1915, and the two French plots are next to the Communal Cemetery. 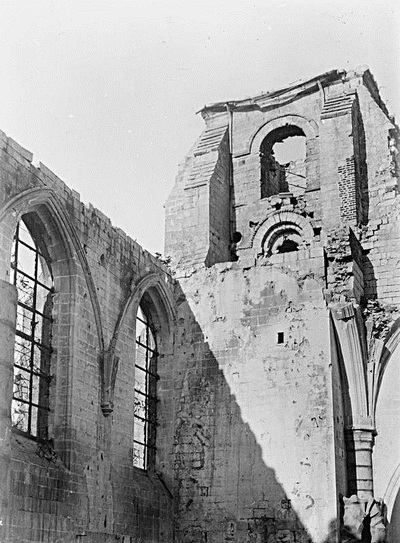 It was taken over by the 1st and 2nd Divisions in February, 1916, and used by fighting units and Field Ambulances until October, 1918. 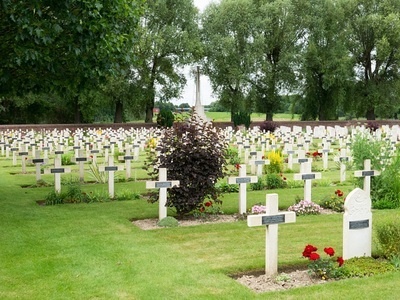 It was increased after the Armistice by the concentration of graves from the battlefields to the East. 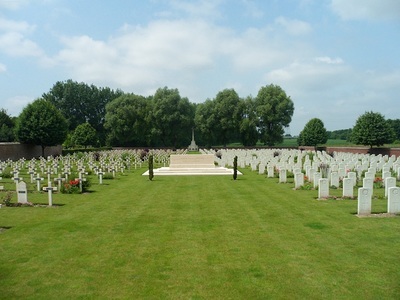 There are now 749 Commonwealth burials of the 1914-1918 war commemorated here, 61 being unidentified. There are also 502 French burials here. 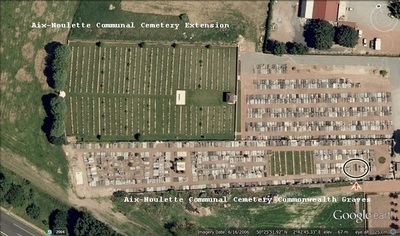 The cemetery covers an area of 5,198 square metres and is enclosed by a red brick wall on three sides, and on the South by the wall of the Communal Cemetery. 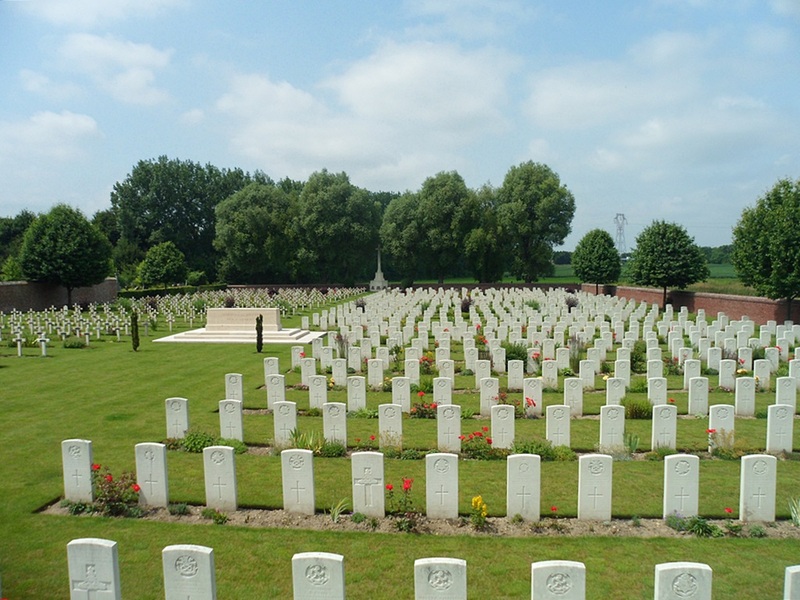 Casualty Details: UK 257, Canada 492, France 502, Total Burials: 1251.
between 12th April 1917 and 13th April 1917, aged 19. Son of Samuel James and Mary Elizabeth Bennett, of 16, Prospect Row, Woolwich, London. 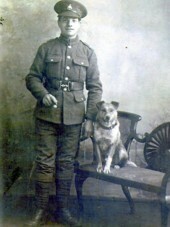 This soldier was officially registered as Charles Leonard Bennett although his actual name was actually Leonard Charles Bennett. The reason for the change being that Leonard had been nicknamed ‘Elsie’ at school because of his initials. Not wishing to be known as ‘Elsie’ in the army, the enterprising lad turned his names around! 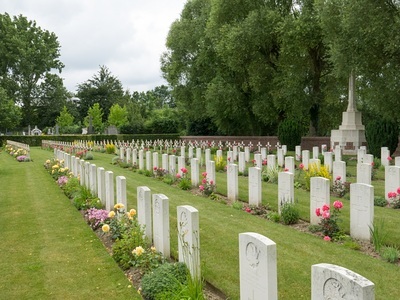 Because his elder brother Albert (my father) had joined up, he tried to enlist at the age of 16, but his fib was discovered and he was sent home. 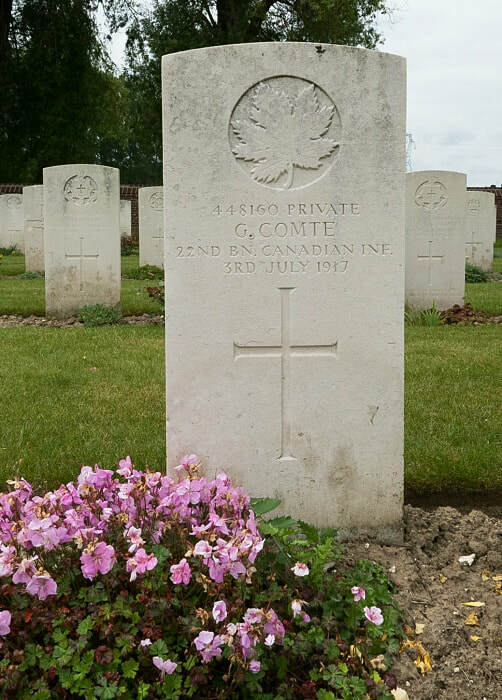 When he reached the correct age for enlistment, he joined the Royal Sussex, and was sadly killed near Arras in April 1917 at the age of 19. 9th February 1918, aged 26. Son of Mary A. E. Dee, of 65, Clive Rd., Fratton, Portsmouth, England, and the late Joseph A. Dee. 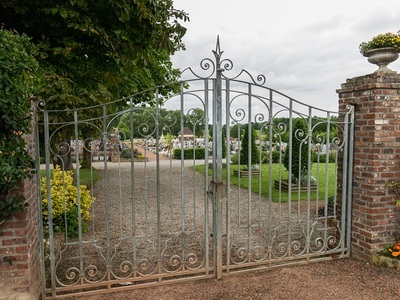 Born at Kingstanley, Stonehouse, Glos., England. Archie was born in Jersey Channel Islands on May 9th 1891 and was the son of Joseph and Mary Dee of King Stanley, Gloucestershire. 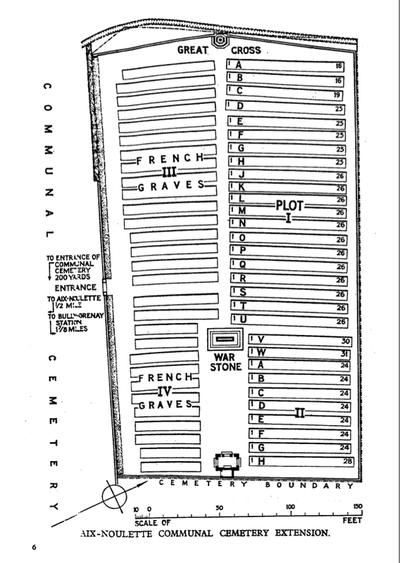 Along with a brother and two sisters he emigrated to Canada and was working as a farmer when he enlisted in Winnipeg on 16th December 1914 to serve in the Canadian Over-Seas Expeditionary Force with the 32nd Battalion.His description on enlistment was 5ft 9ins tall, with brown eyes and dark brown hair. He transferred to the 10th Battalion on 26th April 1915 and was then in France leaving Halifax on S.S. Vaderland on 23 February 1915. From 26th may until 16th June he was treated for gas injuries and regained his unit on 31st July 1915. On 22nd April 1916 he was again injured. This time it was a wound to the shoulder and he took leave in the UK landing at Folkestone on 26th April 1916. He spent time at hospitals in Woodcote Park, Epsom and Taplow before going back to France on 24th April 1917. He was killed in action on 9th February 1918 and is buried at Aix-Noulette.His widowed mother received a separation allowance and a War Gratuity of $180 which was twelve months pay @ $15 per month from the Canadian authorities in 1920. Note: As can be seen in the above images, the original cross erected showed Archie as a Lance Corporal, the CWGC show him to be a Private. 23rd June 1917, aged 33. 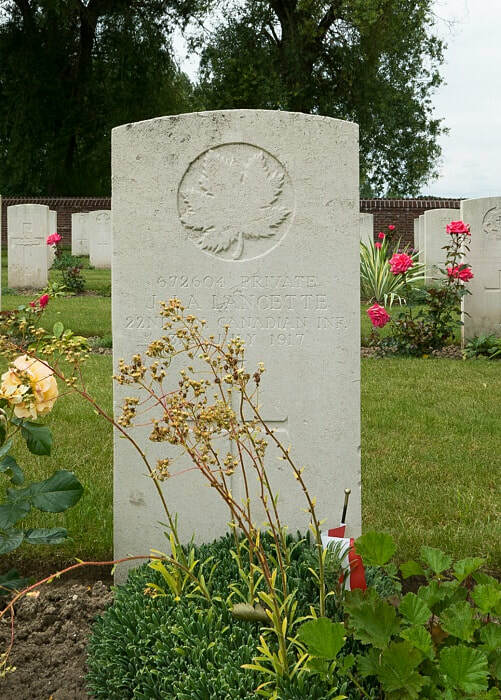 672604 Private Joseph La Lancette, 22nd Bn. 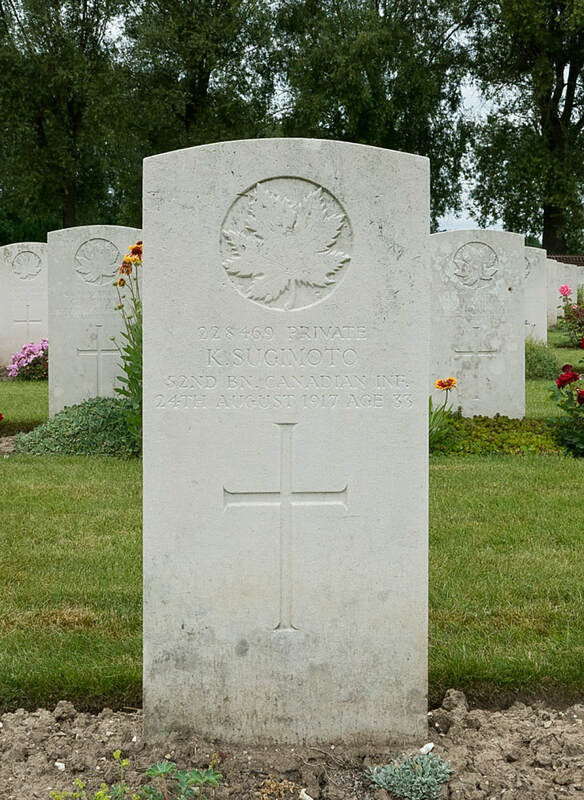 Canadian Infantry, executed for desertion 3rd July 1917, aged 21. 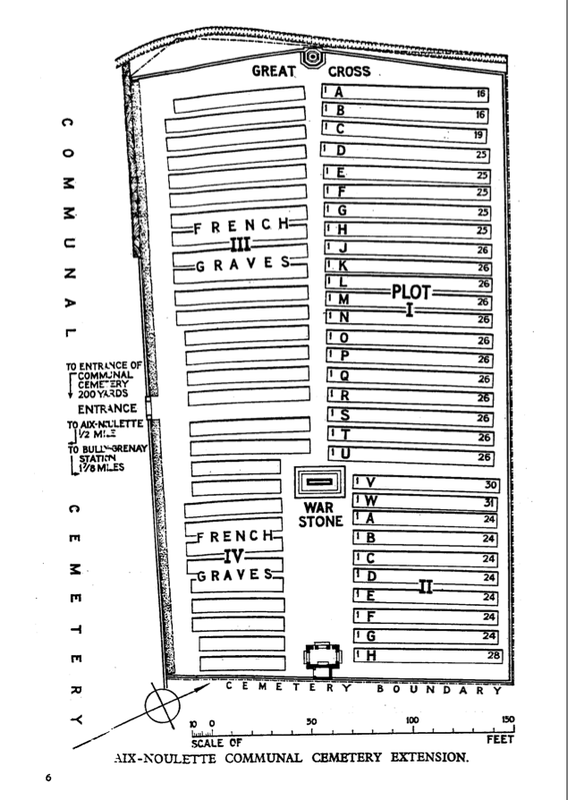 Plot I. F. 21.